Give the gift of Tomatina's authentic Italian dishes, warm inviting atmosphere, and fresh seasonal ingredients. Give the gift of fresh Italian food to family and friends. Choose our Classic Gift Card and have it delivered by mail or FedEx, or an eCard that you can email, usually within minutes! 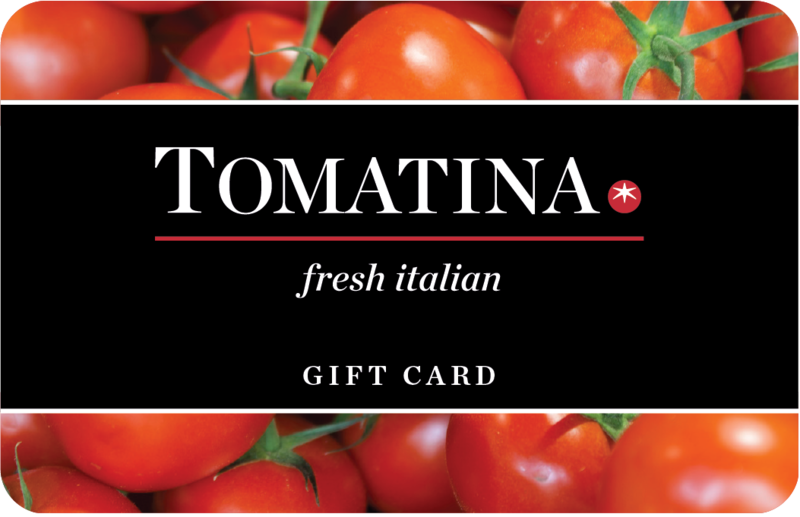 Gift cards are available online in denominations from $25 to $200 or any amount when purchased in person at any Tomatina location. Add your first gift card. Enter your name or receipt's name. Click on the "Add... to the cart" button.